It’s getting harder and harder to be a criminal these days… No one knows that better than 59 year-old Richard Leon of Addison. 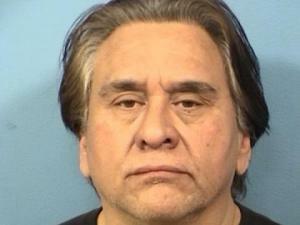 Leon stole the wrong laptop from a Hinsdale office building; the MacBook Pro laptop valued at $4,500 has built-in GPS tracking technology that led let police right to the suspect’s home within four hours of the crime. (Credit: DuPage County Sheriff’s Office) WHEATON, Ill. (CBS) – An Addison man was being held on $ 200000 bond Thursday after stealing the wrong computer – a Laptop with built-in tracking technology that led police right to him.